Let’s check out this build context thing ! What is the build context ? The build context is the set of files located at the specified PATH or URL. Those files are sent to the Docker daemon during the build so it can use them in the filesystem of the image. Let’s illustrate this. $ docker image build -t genx:1.0 . In that case, the build context is the content of the current folder (“.” specified as the last element of the command). In that case, the build context is the set of file in gitlab.com/lucj/genx. Basically, the build context contains at least the application code which will be copied over to the image filesystem, but it often contains many other things we may or may not need in the image. Should I filter the build context ? Yes, we’d probably be better off making sure the build context only contains the files and folders it really needs. In a project which source code is handled by git, we use a .gitignore file to make sure private data are kept locally and not sent out to GitHub / GitLab / BitBucket /… . Same thing applies during the build phase of a Docker image as the daemon uses a .dockerignore file to filter out the files and folders that should not be taken into account in the build context. What if I don’t use a .dockerignore ? You would then send to the Docker daemon a lot of stuff that he does not need and which could be copied over to the image filesystem. Note : did you noticed the Ubuntu installation ISO in this folder (here by mistake) ? When building the image, this huge guy is sent out to the daemon and copied over to the image… obviously not something we want. Note : I do not recommend to follow this example. The Docker daemon does not really like it… AT ALL (I even needed to restart it on my MacBook Pro afterward). But, in case we really need this file here (just for fun), we just have to create a .dockerignore file and add its name in it. We should add *.iso just in case we download other ISOs :) Doing so, we can be sure no ISO file will be send to the daemon. Ok, it’s not likely that a 2 Giga iso file will be present in the current folder but… what’s about the git history of the project, which can also be quite huge ? Let’s remove the ISO file and start handling this project with git. $ docker image build -t www:1.0 . The .git folder, containing all the versioning history of the projects, which can be a huge folder is there. Do we need the whole git history in the image ? Don’t think so. We should then create a .dockerignore and add .git inside. Let’s say I work on a Node.js application that needs to connect to an external MongoDB database. When the application is deployed on a Swarm or on a Kubernetes cluster, it is advised to provide the connection string via a Secret (you might be interested in this article if you want to know more : https://medium.com/lucjuggery/from-env-variables-to-docker-secrets-bc8802cacdfd). But… during the development phase, we might have those credentials in the current folder to test the application. What about having a creds folder in our project ? That’s pretty ugly but that could help, right ? Well, at least if we make sure it’s not replicated everywhere. But, I do not have any .dockerignore. My credentials files will then be shipped over in the image. 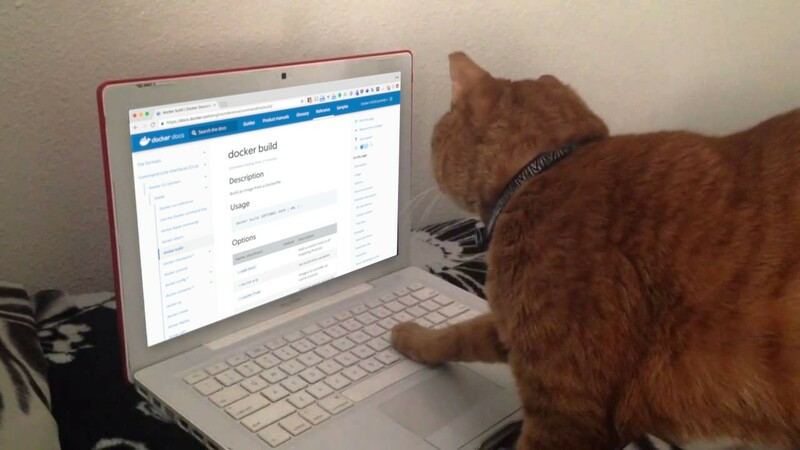 $ docker build -t myapp:1.0 . We should have created a .dockerignore file and added the name of the folder we do not want to expose (creds) in it. Those simple (and over-exagerated) examples show that filtering the content of the build context with a .dockerignore file is very simple and very important too. Do you always make sure your build context is correctly handled ?